Reason-eD LLC was the independent corporate consulting practice of Greg Buckles. With over 22 years experience in forensics, discovery, record systems and software design, he supports Fortune 1000 clients in the energy, financial and non-regulated verticals. He specializes in enterprise search, archiving and preservation technologies. His innovative discovery solutions achieve defensible discovery response management through application of knowledge, process and technology. 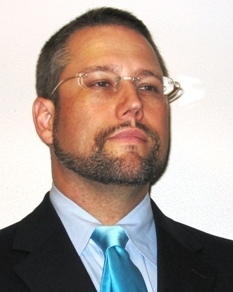 He is a founder, editor and analyst for eDiscoveryJournal.com and the eDJ Group. Discovery is a fact of corporate life, but it should not be unduly burdensome. The corporate response to electronic discovery should embrace the traditional principals and standards of reasonableness, good faith effort, diligence and documentation. A modest investment in right-sized technology, education and in-house resources can put corporate counsel back in control of litigation response instead of at the mercy of opposing demands. The New eDJ Tech Matrix has been moved. The eDiscovery Application Matrix has been completely rebuilt and transformed into the eDJ Tech Matrix. It is an independent, unbiased searchable database of software companies and features.